If you want to see the best Shopping Cart Software compared, then look no further! The team at EntrepreneursGateway.com have tested 5 of the most popular Shopping Carts in the market today. In this Definitive Review, we’ve left no stone unturned. We’ve looked at the good points, the bad points and compare their features and prices. 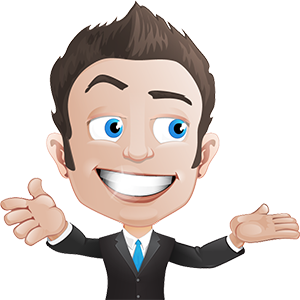 So, the process goes something like this: you’ve created the website, the product offering is good to go, traffic is flowing nicely to the site and your warm leads are clutching their credit cards expectantly. Ermmmm, that would be the shopping cart!! Shopping carts are one of the most important aspects of any online business, something that doesn’t only collect payments securely and safely from customers but at the same time provides them with easy access to anything else you may be selling. Not many people understand the basics of choosing the right shopping cart, let alone what they offer. Sometimes people opt to keep it nice and simple, by inserting a button such as PayPal buy, but remain completely oblivious to the amount of revenue that they are potentially leaving behind. Who has the time to trawl through and test all the various shopping carts? I mean, most people have far more pressing things to do… such as work. Well, to save you time and effort I have reviewed the top 5 software’s for shopping carts, highlighting both good and bad points to help you make the right choice for both you and your business. What do shopping carts actually do? The whole process is much more detailed than just debiting a plastic card with a monetary amount. Of course, this is its core purpose, but any good shopping cart should come with ‘extras’ to ensure that you can sell your service or product much more efficiently. Accept Payments: From various sources including Cash, PayPal, Crypto Currency, Apple Pay etc with the possibility of offering other payment models including subscription and plans. Boost Sales: It should allow you to manage and create affiliates, to create coupons and discount and offer incentives like one-click upsell, bump-offers together with limitations for additional urgency. Convert Prospects: Follows a specific design/layout, the option of using a multi-step or single checkout as well as providing extra conversion elements including testimonials. Stack compatible: It should integrate seamlessly with any tech you are using including your membership plugin, the tool you use for email marketing together with your favoured payment processor. Good support: It should offer several support options such a community that is active, thorough documentation as well as easy emergency access contact either by live chat or phone. Of course, some of the points that I have outlined above are more crucial than others, rather some are ‘must-have’ as oppose to ‘nice-haves’. There is loads more to mention about all the aspects that I have covered so far and don’t worry, I will be explaining them in detail further on in this review. Before I dive into that, let me quickly run through some situations when people need to use carts. So, what can actually be sold via a shopping cart? Naturally, shopping carts do have limitations, however, providing the required integrations exist, then nine times out of ten almost anything can be sold. Physical Products: No limitations apply here!! It can include apparel, electronics, furniture and beauty products. Digital Products: Generally, this would include smaller files including templates, eBooks, audio clips with larger files including graphics packs and video courses. Services: This could include anything from one-off gigs, contractual work or freelance work, for example, programming, design or writing. As I mentioned briefly above, the integrations available are what limits what can /can’t be sold via shopping carts and with that said, you normally only need integrations if you looking for automated delivery. Check out the most comprehensive #Shopping #Carts review so your business can start collecting payments NOW! 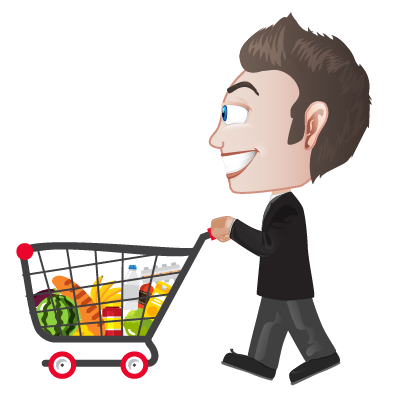 So, without further ado, let’s have a look at what YOUR options are when selecting a suitable shopping cart. As promised, to help YOU to make the right decision, I’ll be taking an in-depth look at the Top Best Shopping Cart Software providers, highlighting what works and what doesn’t. 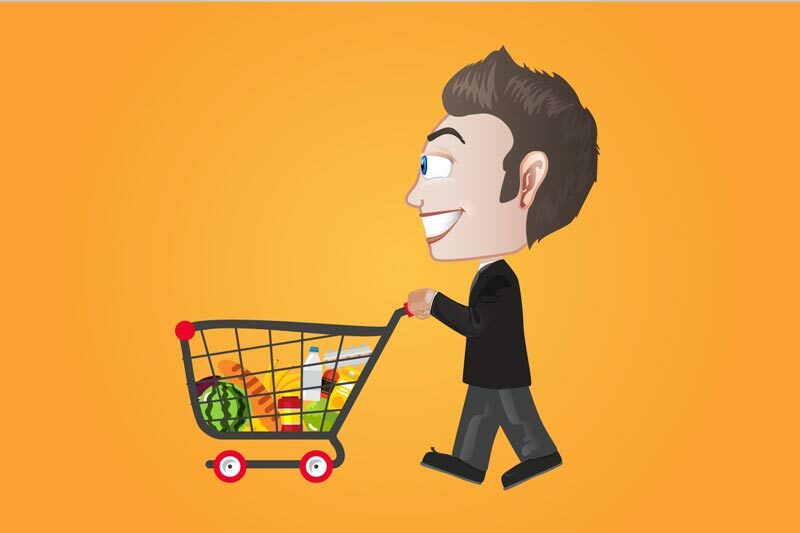 SamCart is a well-known shopping cart on my list. It began back in 2013 and has been generated sales totalling in excess of $400 million. ​ThriveCart is already making a wave within the industry, even though it hasn’t even been officially released publicly yet! This cart is looking to be a potential alternative to Samcart. ​PKS began in 2014 and is fast boasting a healthy features list and classes itself as an affiliate and payment platform. ​Contrary to what you might be thinking, this isn’t something out of Harry Potter!!. It’s a shopping cart which emphases more towards digital products, that said it is suitable for both physical services and goods too. Gumroad first began in 2011 and is geared up more towards writers, bloggers together with artists who are selling digital products. Having said that, it is also suitable for physical services and goods too. So, now that we have shortlisted the best 5 Shopping Cart Software providers in today’s market, let’s have a look at how well they provide our ‘must haves’. Like most tools that are online today, there are loads of hype surrounding flashy-features. This sometimes it can be nigh on impossible not to get suckered in by their gimmicks. With shopping cart software, fortunately, there aren’t too many key factors you need to consider, which does make it slightly easier when selecting the one that is most suited to your business. This is what I have looked at and what I will be giving our star ratings to. Even the most basic shopping cart software should accept all of the major credit cards, however, most also support payments via Cash, PayPal, Bitcoin and Apple Pay (of course this can depend on the integrations). As well as supporting the different methods of payment, it is also important for YOU to be able to select the payment plan/model, from recurring or one-off payment to instalments or even an option such as ‘pay what you want’. The last thing online businesses need to consider is tax – that of digital sales. Will your chosen cart automatically include the tax and will it be correct? Apart from lacking payment processor integrations, it still offers, what I would consider to be an extremely flexible checkout experience — of course, following Thrivecart. Well done SamCart, 4 stars. ​Apart from lacking crypto support, it offers an extremely flexible checkout shopping cart experience. What more can I say, 5 stars ThriveCart. 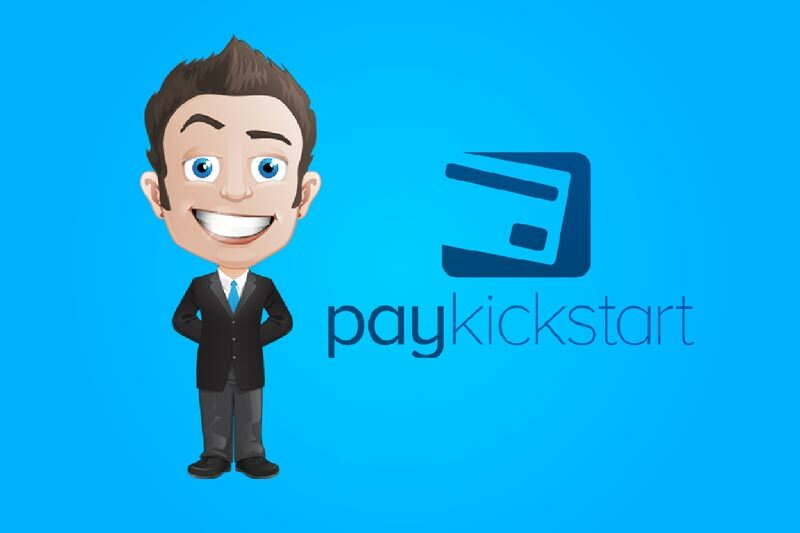 PayKickStart is packed full of payment processing features, however, the set-up process was quite confusing and there are no Apple/Crypto payment methods. Not a bad try though KickStart, 3 stars. SendOwl doesn’t include as many features as some of its competitors, however, when accepting payments, there isn’t much that it can’t do. Nice one SendOwl, 3 stars. ​GumRoad does accept most credit cards as well as PayPal but doesn’t offer any Cryptocurrency or Apply Pay support. There isn’t any provision to offer preliminary trials although payment plans and subscriptions can be set up together with licence keys to enable the selling of software products. Could do slightly better GumRoad, 3 stars. So, it’s one thing to get people onto your webpage, however, ensuring that they input payment details then click on the ‘buy’ button certainly is quite another one entirely! It might surprise you to know that on average abandonment cart rates, in 2017 were roughly around 69%. What this means is that it’s extremely important to ensure that YOUR cart effectively gives prospects that little ‘shove’ across the line. One important factor to consider is design. You can’t go far wrong with an uncluttered and clean checkout design. It also helps to maintain credibility and trust – I mean, would you want to input your card details into an old, shabby looking payment form? Although it is always nice to have design flexibility together with a varied templated selection – it isn’t vital. As well as the aesthetic aspect of your shopping cart, it is also pretty useful to be able to include tested and tried, as well as subtle conversion elements including testimonials and countdown timers. Finally, you should consider the ability to be able to test one-page against checkouts that have lots of different steps, as surprisingly, this can impact conversion rates. SamCart had a fantastic checkout template selection, however, the customization design options were poor and confusing, and my experience was definitely hindered by A/B testing. Nonetheless, 3 stars SamCart. The customization and template options of ThriveCart are fairly limited, however, their checkout pages have been shown to convert, going by the oustanding community response. Nice one ThriveCart, 4 stars. PayKickStart didn’t have A/B testing built in and I did find it difficult to find any template options, however, there are shed loads of customizable and professionally designed checkout templates to choose from. Not too shabby PayKickStart, 3 stars. Well, what can I say? The design customization and checkout templates were extremely limited. You can try to create your own (good luck with that one!!) plus there isn’t an environment for A/B testing. You need to try harder SendOwl, 2 stars. ​GumRoads checkout pages were nice and clean but very basic, although there is the ability of customization to theme them using CSS. Again, no testing for A/B was possible, even though GumRoad states to always be on the ball in improving checkout experience in order to boost conversion rates. Good but not good enough, 3 stars. Timely discounts such as Halloween, Christmas, New Year Sales or Black Friday discount can create HUGE sales drives. You should have the ablility to create multiple coupons as well as have the capability to create them either on a fixed or percentage basis. You’re probably thinking ‘how about bump offers’? Well, these little beauties can increase the cart’s value by enticing the prospect with offers that they simply can’t refuse. What shouldn’t be overlooked is a really powerful sales that loads of online marketers use…… the ONE-CLICK upsell!! This displays immediately following an initial sale. What it does is allows the prospect the opportunity of purchase an extra offer without the hassle of having to repeat the entire checkout process again or input their credit card details a second time. These types of upselling aren’t the same as the traditional type in that they depend on a much tighter amalgamation between the payment gateway and the shopping cart – something which not every shopping cart can pull off successfully. By recruiting your own affiliate army (or “online salespeople”), you can increase your products reach in ways that are simply not possible without creating that network. Some companies rely on this strategy, because of its power, to reel in most of their sales. One of these is ThriveCart, which features in my review. SamCart really shines here and included upsells, bump offers and plans for payment. The only problem I encountered was trying to figure out how I could operate both paid and free trials. Good show Sam Cart, 4 stars. ThriveCart really comes into play here with its rather outstanding features list. From upsells, bump offers or payment plans, no user could ask for any more when forcing profits. An outstanding 5 stars. PayKickStart includes everything that one expects from a shopping cart such as bump offers, coupons, an extremely strong affiliate centre, upsells and even includes visual funnel builders. A well deserved 5 stars. SendOwl features all the necessaries such as coupons and discounts, one click upsells, and bump offers – excellent!! The only let down was their portal for affiliate management, which I have to say was very sparse. Still worthy of 4 stars though SendOwl. ​The thing I love about Gumroad is its simplicity. However, this comes at a cost as many of its competitors included more advanced sales features including one click upsells and bump offers, but you are still able to recruit affiliates. Only 2 stars GumRoad, due to limited features. Many entrepreneurs these days, that I meet have fought hard and long to create stacks of technology that fits their needs. I’ve personally tested numerous tools across loads of sectors of online marketing and know how annoying it is to fall in love with a tool, then discover that it doesn’t reciprocate with your current stack. In reality, what happens is the user will simply drop the almost perfect tool because it fails to provide the necessary integrations, all because to change everything else would be too time-consuming not to mention painful!! Of course, shopping carts aren’t any different. For instance, you might be looking for a cart that has the ability to converse with email marketing tools, or maybe swap a subscriber to the customer list from the prospect one. Maybe you’re even looking for the cart to liaise with your software for memberships to allow the user access to otherwise restricted content over a specific period of time, based on the payments that have been made. Whilst we’re on the subject of payments, the shopping cart alone isn’t always capable of being able to receive customer payments. From PayPal funds, credit cards or Bitcoin you will need to apply the existing integration. Quite good really, but I was expecting more integrations based on the price. SamCart does rely on third-party services to work out the sales tax. Still worthy of 4 points though. 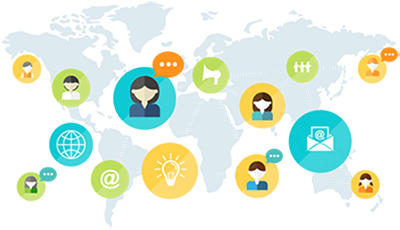 ThriveCart doesn’t have a huge integration list, but the speed and quality of the implementation of these integrations are second to none. An added bonus is that it also supports Zapier. ThriveCart never fails to disappoint, 5 stars. PayKickStart offers a very nice integration list such as membership platforms, tools for email marketing plus several webinar providers, and like ThriveCart it also includes Zapier integration. A most deserving 5 stars. SendOwl does cover all of the main tools for email marketing, although I did feel that membership integrations really could have been more extensive, it does, however, support Zapier, which is always a plus. Nice try SendOwl, 4 stars. GumRoad does lack several integrations for popular services, however, Zapier is always able to fill these gaps. Membership integration can be replaced using GumRoads bespoke functionality. Disappointing GumRoad, 3 stars. We’ve all been there, where suddenly a technical issue ensues, and all hell is let loose. However, providing that the correct documentation is available, together with a solid support system, most crises are quickly averted. When it comes to keeping your business functioning, when you take the time to look at the different stack areas, it soon becomes crystal clear that some components really are a necessity while others are not. An example could be: If the content delivery network was playing up, this will cause your website to have a longer loading time. As much as these things are an inconvenience, they are certainly not going to put too much of a dent in your profits. When someone reaches your cart, this is a result of all the marketing efforts that you have made and that are then channelled into one last action – the transaction. At this stage, tech-failure of the funnel could be disastrous, especially if the issue remains unknown for days or weeks. There is lots of responsibility that your cart has to shoulder so it is crucial to consider things such as fail-safes, potential downtime, alerts (in real time) and support options. Last but not least, there’s the community aspect. From Slack channels, private forums or Facebook Groups a community that is engaged will add a completely new support layer that many companies are being to realise. SamCart’s thorough documentation was extremely impressive along with their live chat (in business hours) and the engaging community Facebook group which offers support peer to peer. Excellent SamCart, 5 stars. ThriveCart offers thorough documentation, a community Facebook group (that is really active) and fast ticket responses. There wasn’t, however, any emergency contact like phone or live chat support. And for that reason, it has to be 4 stars. PayKickStart offered poor UI which meant that you often have to visit the knowledge base. It did, however, offer fast responses via email together with live chat throughout business hours and has a FaceBook group. Could do better PayKickStart, 4 stars. 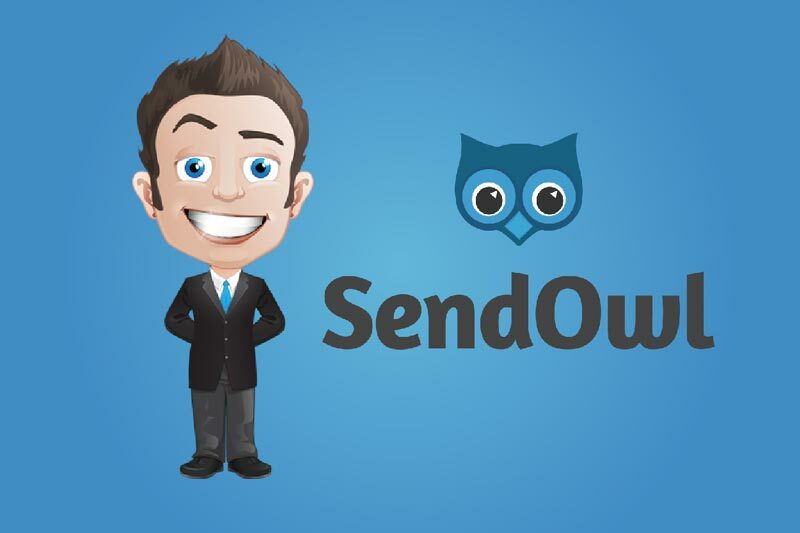 SendOwl offered detailed documentation together with email support. However, it lacked a community and more instant communication channels might create problems for users. 3 stars SendOwl. Even though GumRoad is great for beginners, there isn’t much in the way of direct support or knowledge base with no signs of any type of community surrounding this product. This does make me feel teeny bit nervous and for that, GumRoad I give you 2 stars. So, now I’ve covered the 5 Best Shopping Cart Software ‘must haves’, hopefully, you will now have a better overview of who is on fire and who is in danger of freezing over! How do these Top 5 compare on our checklist criteria? Some users see keeping the costs low as their priority and therefore opt for a lower priced tool that still ticks all the correct boxes. Others, however, see their priority as ensuring that they can access the best tools to complete the job – whatever the price. Please note: the above pricing shouldn’t be viewed as a comparison, as the limitations and features do vary between each cart What it does, it reflects each shopping carts lowest tier monthly plan. If you’re on a tight budget or simply like saving money, then you’ll be made up to discover that there is only one clear winner in my software for shopping cart review… drumroll please….and it is..
Now, GumRoad may not offer as many features as some of its competitors and its lack boosting cart features such as 1 click upsells, and bump offers will no doubt be felt…HOWEVER, it is the only cart that I have reviewed, that includes a FREE plan which in itself is more than enough to get begin with. Yep, it sure is, with SendOwl flying in for second place. Well, GumRoad, in this review, was the one cart that could gate content and upload AND work with course content in both text and video format. Find out who our winner is for the best Email Marketing Software tool. Now that I have compared the various Shopping Cart Software, based on various factors, I will conclude with a brief summary of our top 5 . Remember, there are full reviews available, these are merely ‘mini’ ones that reflect the findings from the roundup post together with my own analysis. SamCart is designed to increase your profits and sales and is a web-based checkout platform. The software founded by Scott and Brian Moran back in 2013 and has come on in leaps and bounds to become one of the leaders in the industry. Many people consider ThriveCart to be the closest competitor to SamCart despite the fact that it is a newer one and is still in its beta stage. The two carts are really very similar apart from their prices and they can be fairly difficult to separate, which is exactly what I’m going to attempt to do below. Easy navigation and clean user interface. Flexible models for payment including trials, plans and subscriptions. One-click upsell, and bump offers support. Built-in affiliate management that is rich in features. Integration with most used services and tools including Zapier support. Thorough documentation, including a FaceBook group and Live Chat. Lacks support for many several payment processors. No Apple Pay or Crypto support is available. Check out pages have limited design options. If you require the affiliate centre, the cost can become expensive. It was difficult to create A/B tests. There is no built-in calculation for digital sales tax. It’s selling services can be confusing. Josh Bartlett created the software for ThriveCart in 2016. Even by undergoing development for over two years, it’s only available via its pilot programme which is payable as a one-time heavily discounted fee. 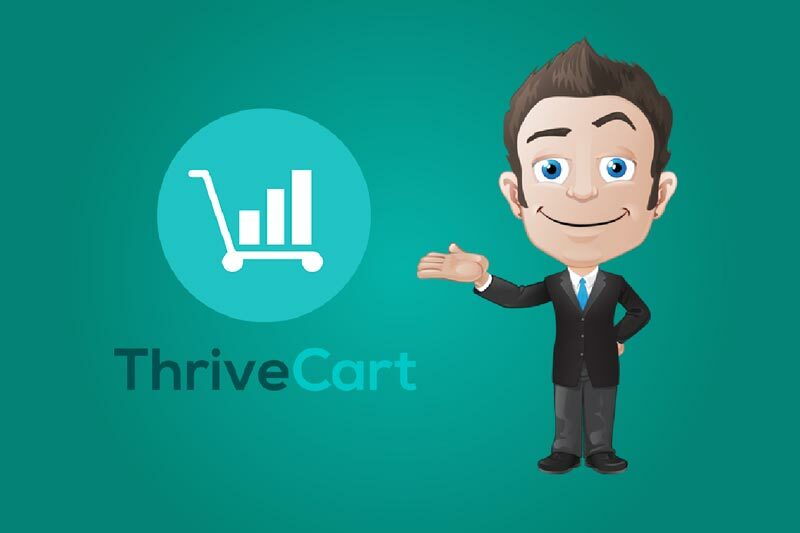 Typically, ThriveCart is seen as SamCart’s direct competition and is seen as the cart of choice amongst big online names. Already, ThriveCart has amassed a huge features list and combined with its entourage of die-hard admirers, this newcomer certainly has loads riding on them. Integration with all popular payment gateways. Flexible payment options including plans, subscriptions and trials. One-click upsells and bump support. Active community Facebook group and detailed documentation. PayKickStart was founded by Matt Cullen and Matt Thompson in 2014 and has grown into a very proficient affiliate management and shopping cart platform. I’m going to look at where PayKickStart is today, and whether it is really capable of holding its own when up against the big boys. Both paid and free trials are available. Availability to utilise the funnel builder. One-click upsell, and bump offers. Marketing portal that can host banners, contests and email swipes. An Active community Facebook group. SendOwl was founded in 2010 by George Palmer and is a company that is London based. The cart was designed to fill a much-needed gap and was built from the ground upwards. The idea behind it was to design software that could allow anyone to deliver and sell digital products easily from via their website. SendOwl has evolved nicely and is now a shopping cart that is rich in features and product delivery tools and even supports physical services and products. Easy to use and clean interface. Integration with most of the main payment gateways. 29 different currencies are supported. Flexible payment methods including trials, subscriptions and plans are supported. 1-click upsells, and bumps are supported. Workable but basic affiliate built-in management. Customised advanced checkout template builder. Huge integration list including Zapier support. Support for cryptocurrencies is limited. No functionality for A/B testing. Design and check out the customization is limited. Offers no emergency support e.g. : phone or live chat. In internet years, GumRoad, you could say, has been around for a quite a long time. It was created in 2011 and has become a go-to platform for hundreds of writers, artists and bloggers. GumRoad is different to the other tools that I have reviewed in that it is both a marketplace and platform for creators to both sell and host their services and products. Capability to produce license keys to sell software products. Payment plans and subscriptions are supported. Customizable and clean checkout pages. Coupons and discounts can be easily created. Gumroad’s checkout button (embeddable) can easily be used. video hosting, membership and gated content are built-in. Built-in workable but basic affiliate centre. Free and affordable plans are available. User interface is easy to use and understand. Apple Pay and cryptocurrencies are not supported. No capability of offering free or paid trials. One-click upsells, and bump offers are not available. No Facebook or Live Chat community. There it is- our definitive review of all the aspects you should look for in Shopping Cart Software, to ensure that your business goes from zero to hero status. Have you been party to the best shopping cart software that we have reviewed, and if so, what can you share with us?